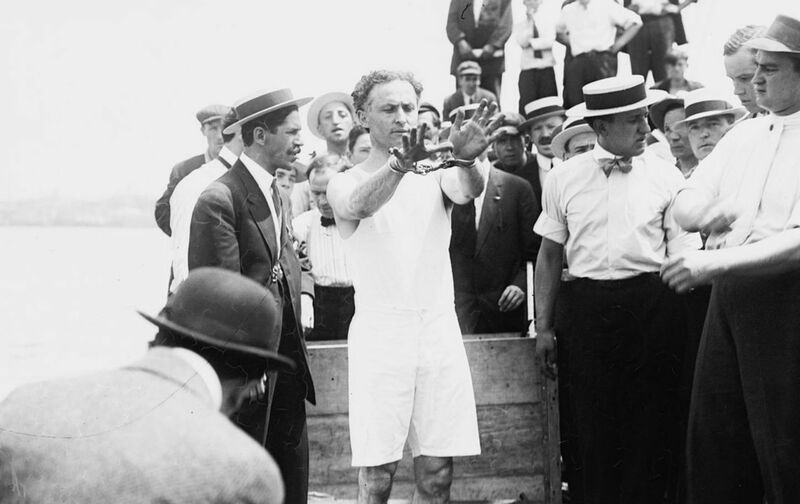 Almost two years after Houdini’s untimely death (he died a few days after a student at McGill University in Montreal caught him unawares with a punch to the stomach), the inimitably named R.F. Dibble, a professor of English at Columbia University, wrote the following appreciation of the escape artist for The Nation. Houdini’s head was still buzzing with new schemes when an accidental blow caused the attack of acute appendicitis that killed him in his prime. He was planning to take courses in English to improve his rather too individual idiom; he was devising a trick in which, frozen inside a cake of artificial ice in full view of his audience, he was to escape, also in full view of the audience, leaving the ice intact; he was doing a world of good in exposing the trickery of mediums and the open-mouthed credulity of their followers…. His complete silence since his death, despite the many attempts made to communicate with him, furnishes perhaps the strongest argument against the spiritualists; for certainly if any ghost could escape from the confines of Elysium or Hades or Nirvana or Heaven and bob up somewhere on the earth, that ghost would be Harry Houdini.